it really is the simplest of things that create life's greatest moments. 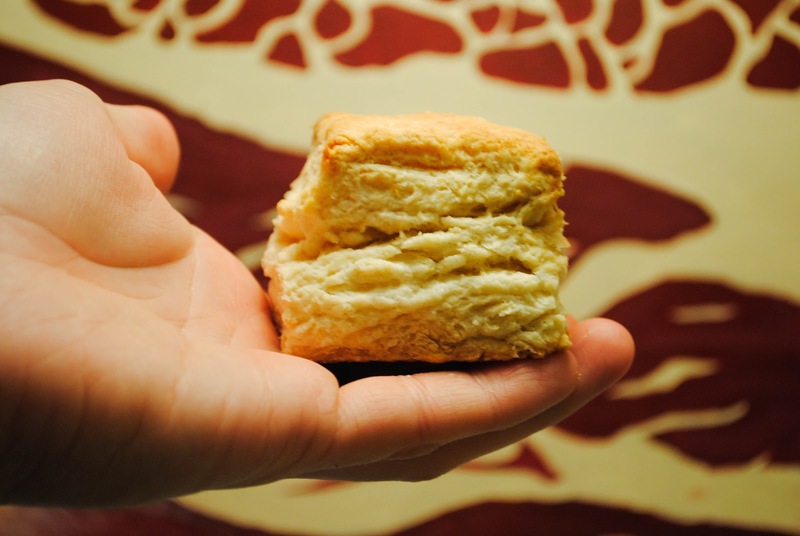 This outlook certainly holds true for the humble biscuit. There must be millions of biscuit recipes out there in the universe. Each with the exact same set of basic ingredients. will have a tremendous effect on the resulting product. You must be very careful not to over mix your dough. Leave it light and fluffy. With the scrapings of butter layered just so. you must decide what to do with it. And a dot of Sriracha. A decision I do not regret. You must be a Southerner at heat! 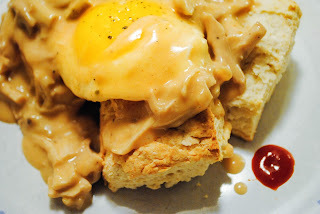 My dad is from Mississippi and he loves biscuits with gravy and eggs! I am! Born and raised in Indiana with most of my family hailing from Kentucky. It's in the blood!